* SAVE TIME & MONEY - Our supreme paper plant pot maker set is a highly convenient and simple way to make your own newspaper paper plant pots. 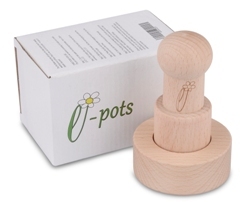 Use e-Pots Pot Maker and craft amazing paper plant pots fast & easy. Economical and well-designed, it comes with full instructions. * ECO-FRIENDLY - No waste. No harm. No repotting like with the plastic pots. Simply make a biodegradable paper pot and plant the whole pot straight into the ground! Since the finished paper pot is compostable, it is perfect for growing from seed and to not disturb the seedlings roots! * REFINED DESIGN - E-pots refined and made the wood seed starting pot maker super comfortable without sharp edges - even more quality than what you get in the standard pot makers. Our outdoor pots maker package includes everything you need and more to easily make bio-degradable pots from newspaper. * GARDENERS' TREAT - The pot maker set makes a perfect gardening gift. It's a cute, time-saving tool to help gardeners make exquisite paper pots. * OUR COMMITMENT - We strongly believes in the quality of our outdoor paper plant pots. That's why they are backed by our hassle-free money back guarantee. Get your paper plant pot maker now RISK-FREE. You don't need to buy pots to start your seeds off anymore! 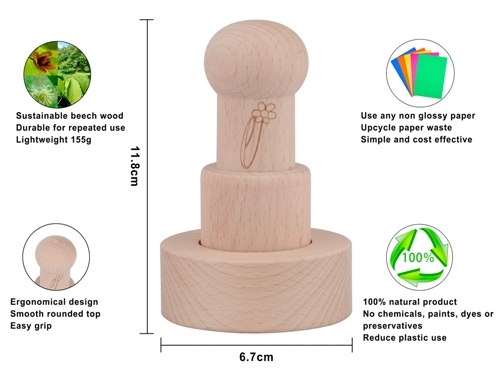 Just get this premium Paper Plant Pot Maker by E-Pots and your seedlings will grow well and healthy while preserving the environment. 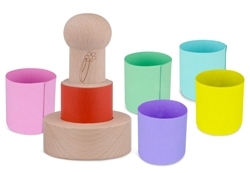 Create super-cute biodegradable paper pots with our amazing paper pot maker - it's a fun and rewarding process that feels amazing! Don't wait or waste money buying finished pots. Make your own pots easily and readjust to the right size for getting new seedlings off to a great start. Just follow the easy instructions for always perfect results. Making plant pots has never been easier and more convenient. Making newspaper plant pots is great because the finished pots are biodegradable/compostable. Just make, seed and enjoy without harming the environment. 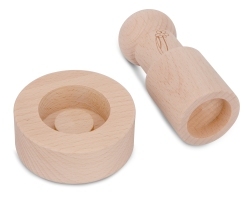 On top of that, the premium paper plant pot maker is made of wood. No sharp edges, nicely curved, professionally finished - it's extremely enjoyable to make pots without getting tired. Designed keeping pot size in mind, our plant pot maker creates pots that are up to 12cm in height, thus giving you generous size for your seedlings. Looking for gifts for garden lovers? Well, you'll hardly find a sweeter and handier gardening gift than our supreme paper pot maker set. Get one to surprise your dearest friends and family and make them happy with a sweet and handy gift. Save time and money with our finest quality plant pot maker.